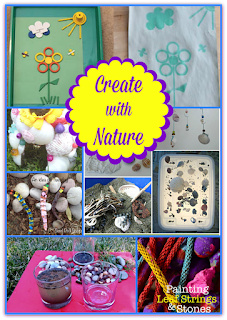 Create with Nature Features for This Week! 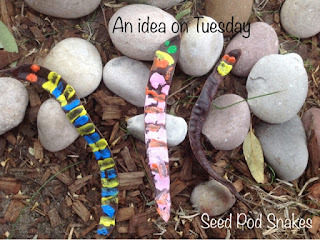 An Idea on Tuesday turned seed pods into snakes! The Practical Mom enjoyed painting leaf strings and stones! 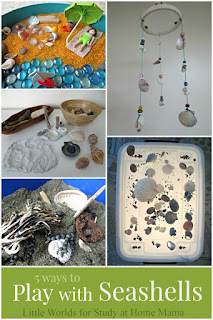 Study at Home Mama found lots of ways to play with seashells! 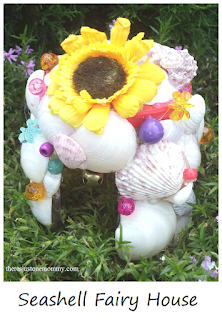 There's Just One Mommy created adorable fairy houses from seashells! 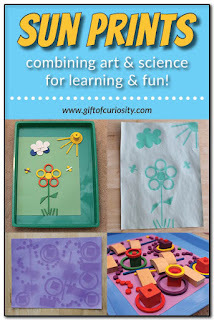 Gift of Curiosity made use of the sun for these fun prints! 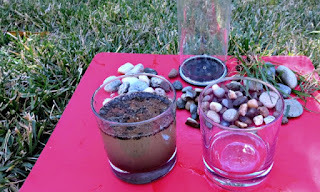 Planet Smarty Pants experiments with filtering water through natural materials!